Sign up for Broadjam today to follow Who Are Those Guys, and be notified when they upload new stuff or update their news! New!! 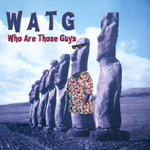 The 4th CD from Who Are Those Guys. The Guys bring their unique blend of rock, blues, country and folk to 14 new tracks. Check it out!!! 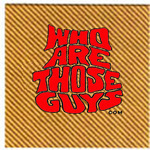 A selection of eleven songs taken from Who Are Those Guys 1st and 2nd CDs. Also includes two previously unreleased tracks. Released in 2004. 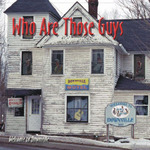 Available on i-Tunes, CDbaby.com and www.whoarethoseguys.com. This song was recently heard on the CBS television series "Without A Trace". then you best not come around. Ride on that golden train. Love in its darkest form. Eye to eye and claw to claw. Their secrets kept well out of sight. where love did once reside. Please don't rock my world. Welcome to Downville, Welcome to Downville. I can't take the place. That painful fall from grace.